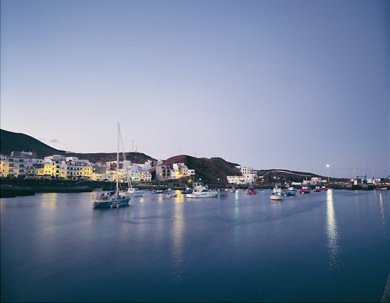 Meet the La Restinga Port in El Hierro. Copyright David Olivera. Photo offered by Cabildo de El Hierro. La Restinga is a small fishing port located in the municipality of El Pinar del Hierro on the south of El Hierro. Hundreds of divers come from all over Europe to the La Restinga de El Hierro for diving. Its good conditions for diving start on its crystal clear waters, to the amount of marine biodiversity found here, the allowance given by local authorities to the practice of this sport as well as for the presence of many specialized diving centers on this area. Diving in this region is a main attraction that brings tourists from everywhere and represents the most important economic motor for this port. If you love diving and sea you should visit the La Restinga both if you’re amateurs or experts you might find courses prepared for you. Apart from diving, in La Restinga you might find many places to try typical dishes from El Hierro as well as take a look at other natural resources it offers.